The Portal at the TU Berlin is an immersive Virtual Reality theater for mathematical visualization and research. Most applications use jReality. 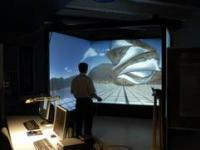 The VisorLab is a 3D virtual environment at the CCNY Department of Mathematics under the direction of Prof. Peter Brinkmann. It is equipped with a large screen for 3D stereo projection and an eight-channel audio system for spatialized sound. While the primary focus is on mathematical visualization and sonification, the lab has been designed to facilitate collaboration with researchers in other fields. From the Gavrog web-page: ?The purpose of Gavrog is to develop an integrated Java library for nets (a.k.a. graphs) and other structures that can be described in terms of nets ? the reticular aspect ? which are situated (mostly) in ordinary space and show a high geometric symmetry ? the ornament aspect. 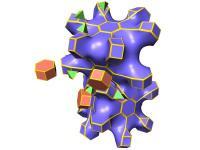 Examples of these are crystal nets, periodic ornaments and both 2- and 3-dimensional tilings.? uses jReality to visualize polytopes and graphs and to interact with the polymake kernel. The daytar group creates interactive art, many projects use jreality. The picture shows seidesein, an interactive environment, which explores communication in virtual 3D space. Two users are embedded into virtual space each via an “avatar”, which is a virtual veil-like mirror, i.e. 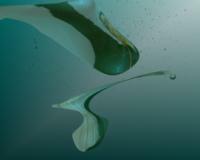 a mirror which feels like a silky veil floating in a water-like substance. 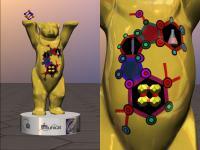 There are also other interesting projects using jreality in the daytar art section. Matheon has been a repeated partner with the jReality in producing mathematical visualizations. One of the more festive occasions for this collaboration was the party on the occasion of the extension of Matheon's funding in late November, 2007. We produced a web start and an animation. In 2006 the International Mathematical Union sponsored a contest to choose a new logo. John Sullivan won the contest with a form based on the Borromean rings. To publicize the new logo, he and his colleague Charles Gunn made a 4 minute animation using jReality. The jReality team collaborated with a Berlin media firm jutojo to create imagery for the official opening ceremony in January 2008 for the ''Year of Mathematics'' in Germany. 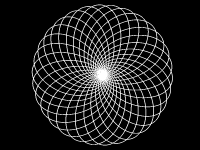 Using software provided by jReality group, the members of jutojo created this animation, based on the theory of path curves developed by Sophus Lie and Felix Klein in the 19th century.